Zack is a customer service and sales rep at a technology hardware store. He is trying to learn the business, but he just can’t seem to find enough time to study the product manuals. His manager tries to spend time teaching him sales techniques, but there always appears to be some crisis pulling her away. He attempts to make the most of his “ups,” but he usually must bring one of the more experienced people into the conversation. His co-workers try to help him with tips and tricks, but it doesn’t come together into understanding. When Zack asks about training programs, his manager says they can’t afford it. He is thinking about moving on. Zelda works at a similar store across town. One of their suppliers is introducing a new line of products today, and she is pumped. For the past two weeks, she has been viewing product videos on her mobile phone. Each video explains feature and benefits, and how to position them with a customer. At the end of each video is a quiz so she can check her knowledge. Both the supplier and the local distributor offer micro-lessons on sales techniques she can access on her mobile. As she completes each lesson, her manager gets a notification so he can follow up on how it relates to her product lines and customers. Zelda will receive a bonus for every product she sells. The learning management system tells the sales application that she has qualified for the bonus through training, so a sale will automatically trigger a bonus to payroll. Almost every business in the world is part of an extended enterprise – a system of organizations that work together to do what they could not accomplish alone. It can include suppliers, customers, distributors, sales teams, service technicians, value-add resellers, and franchises – any kind of organization you can imagine. Government regulators and industry associations are part of the ecosystem. Also, contingent workers, contractors, and freelancers. Each member of the extended enterprise relies on others to create efficiencies, manage compliance, and control costs, but it’s not all about downside risk. There’s an upside – collaborative relationships can foster synergy that drives performance and innovation. None of this is possible without shared knowledge. But it’s more than that. 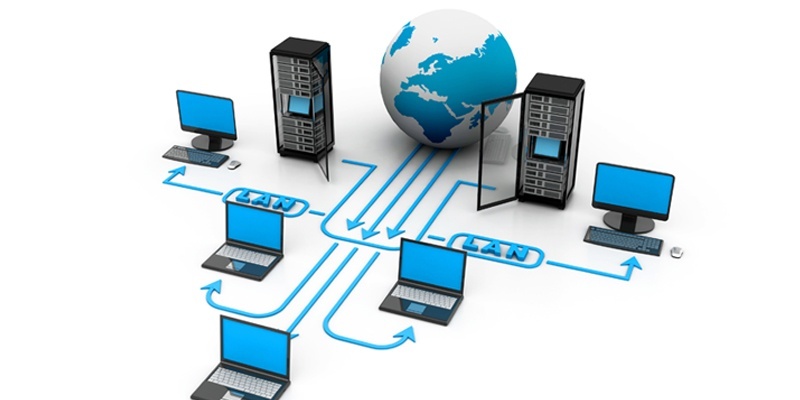 Success in the extended enterprise requires connected knowledge, delivered at the point of need. There are thousands of people in an extended enterprise, and each one has their unique learning needs. Distributors, sales teams, and resellers need to know your products and services and how to sell them. Field technicians must know how to install, diagnose, and repair products, equipment, and systems. Equipment manufacturers need to provide safety training to the people who use their products. Customers need information about your products and your competitors to make an informed buying decision. They need to know how to get the best value from your services and what to do if something goes wrong. These requirements exist at every point in the value chain. A supplier is someone else’s customer. A member of the extended enterprise who has knowledge must deliver it to the people who need it. An isolated learning system cannot be effective. We define knowledge delivery at the point of need as the knowledge a person needs to do a task delivered when and where that person needs it – at a machine workstation, a customer’s home, a desktop computer, or anywhere. 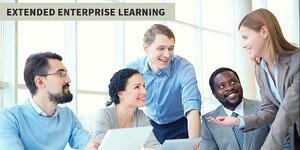 But even more, enterprise learning should be embedded in the business application each person uses in their daily work. The people in your value chain need to access learning without interrupting the flow of work. So, your LMS, video app, e-learning application, and other learning resources need to be right there alongside or within your accountant’s financial application, Your sales rep’s CRM, and on your field tech’s mobile device. With the right connections, you can create a constant flow of knowledge throughout your extended enterprise to improve performance, foster innovation, and prepare your partnerships for the future. The choice comes down to this: Your LMS and other learning resources must be seamlessly connected with the tools your people in their work. If your learning system is not integrated, make it so. If you can’t do that, it’s time to make a technology change. Previously: Quality of Hire: The Most Important Interview Next up: How Digital Badges Can Improve Performance of Your Extended Enterprise.